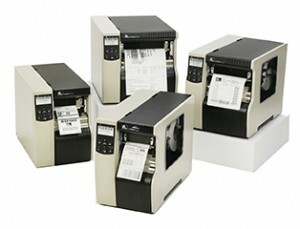 The ZT Series is Zebra’s latest in their series of quality label printers. The ZT200 Series offer a small footprint with tool-less standard component maintenance in a durable design. Built for light industrial and commercial environments, it is easy to use, versatile and an outstanding value. The ZT400 Series is available in 4.1″/104 mm (ZT410) or 6.6″/168 mm (ZT420) print widths. The are available with a factory- or field-installable UHF RFID encoder. They have multiple connectivity options including Bluetooth® and Ethernet. Print resolutions of 203 dpi and 300 dpi are available on either model; however, the ZT410 with 600 dpi resolution can print with precise registration for small label applications. 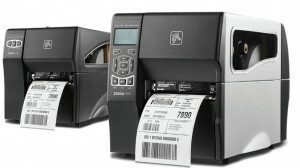 The rugged, industrial design of the xi4 Series provide durability, consistent quality printing, long life and unparalleled reliability even for demanding applications. Available in a 110, 140, 170 or wide 220 mm print widths, there is an xi4 printer to suit any on-demand labeling application. They are designed to be user friendly with multi-lingual displays, various connectivity options, early warning systems, and print speeds up to 14″ per second on the 110 and 140 xi4 models. 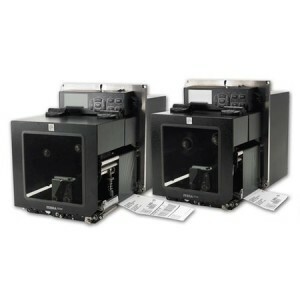 The ZE500 series print modules, used in FOX IV’s 6250 and 6900 series label printer applicators as well as competitive printer applicators, take an innovative approach to OEM print engines. Leveraging customer research, the design focuses on ease of use, integration and servicing. Built with the customer in mind, the ZE500 is designed to keep mission-critical print-and-apply applications operating with no interruptions. The ZE500-4 can print up to 4.1″/104 mm wide while the ZE500-6 can print up to 6.6″/168 mm wide.